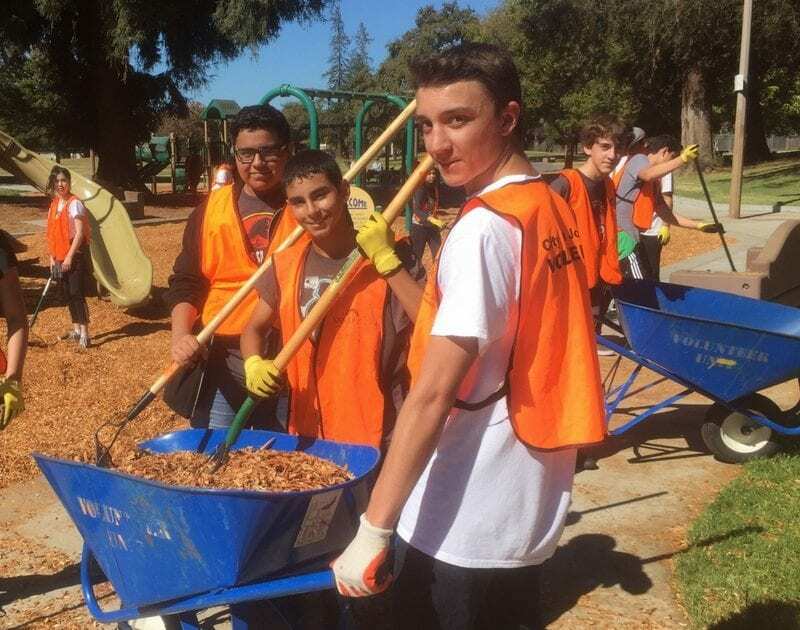 In late September, sophomore students at Cristo Rey San Jose Jesuit High School gathered at Great Oaks Park, where they were met by a crew from the San Jose Parks and Recreation Volunteer unit, with gloves, shovels, and wheelbarrows. 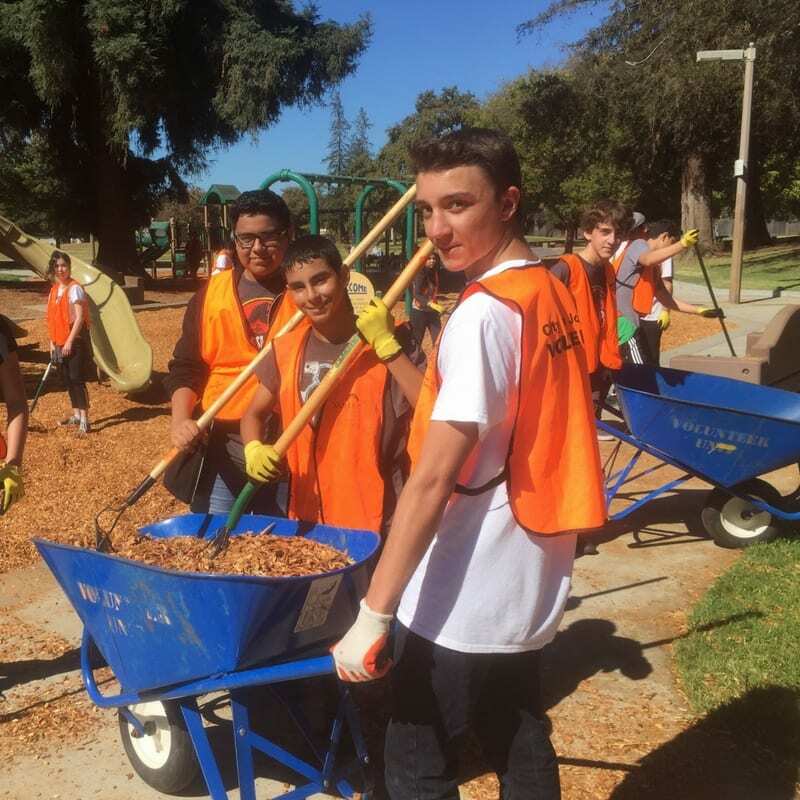 A mound of treated woodchips awaited the crew of 24 students in the driveway of the park. 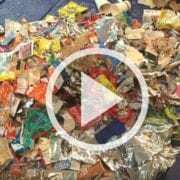 For two solid hours, students shoveled chips into wheelbarrows, transporting them to the adjoining playground, paying particular attention to areas eroded by play–where children land coming down slides, or jumping off swings, or running around the merry go round. 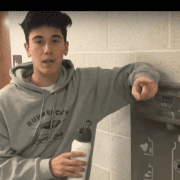 The tenth grade Christian service program offers environmental volunteer opportunities to students, aiming to provide formation in the duty of stewardship of the planet. 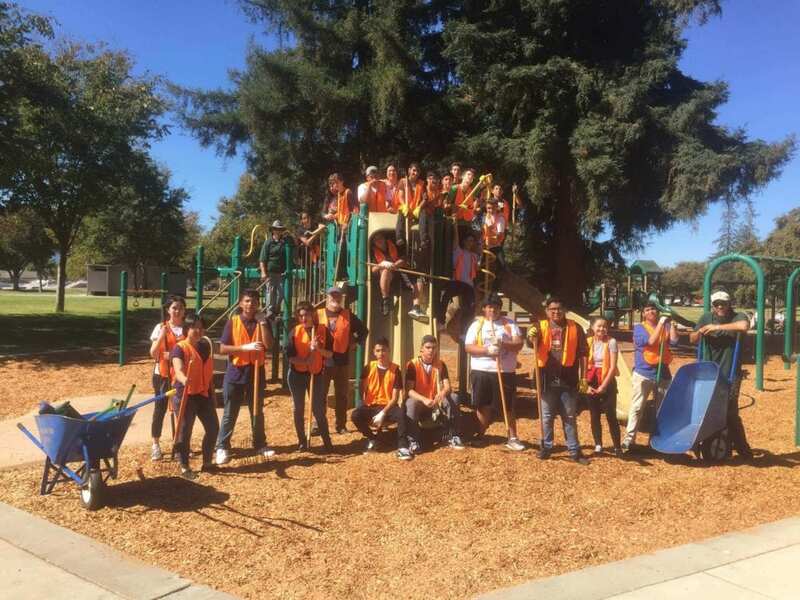 Upon completion of the work at Great Oaks Park, students reflected on their contribution to the care of a shared community outdoor space in light of Laudato Si’. 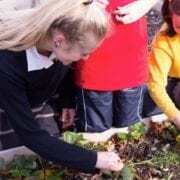 Students were asked to reflect upon a series of questions, leaping from an initial reflection on their own personal experience of the natural world. They weighed in on the risks and pitfalls of excessive social media use, and how time in the natural world can provide perspective and space for reflection upon using social media for good. They went on to consider the role of service in the Christian life, and the role of environmental stewardship in the broad context of social justice. 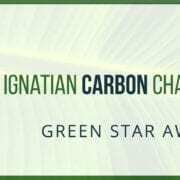 The Ignatian Carbon Challenge invites high schools–both on an individual and institutional level–to address climate change and environmental justice through a series of monthly challenges. 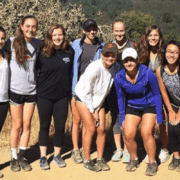 To draw attention to specific efforts of participating schools and individuals, ISN will post periodic stories highlighting ways in which challenges are being completed throughout the Ignatian network.